Gibson Dunn | Spratling, Gary R.
Gary R. Spratling is a partner in the San Francisco office of Gibson, Dunn & Crutcher and Co-Chaired the firm’s global Antitrust and Competition Practice Group from 2000 to 2016. Mr. Spratling’s practice focuses on international antitrust issues and draws upon his years of experience as a U.S. government official working on policy and enforcement with antitrust authorities worldwide. Mr. Spratling has global expertise in anti-cartel enforcement practices of every major competition enforcement authority and has developed integrated international strategies in response thereto, which has guided numerous successful representations of organizations and individuals facing exposure in multiple jurisdictions. Before private practice, Mr. Spratling was a U.S. Department of Justice prosecutor for 28 years and served as the highest ranking career lawyer in the Antitrust Division as the Deputy Assistant Attorney General for Criminal Enforcement. In addition to receiving nearly every major award given by the Department of Justice, Mr. Spratling is a two-time recipient of the Presidential Rank Award – the highest honor conferred on federal government executives – from both President Bush and President Clinton, and was the recipient of the Antitrust Lawyer of the Year Award from the State Bar of California. Mr. Spratling has worked extensively with foreign antitrust authorities on policy issues and enforcement practices. He organized and led the first international workshop on cartel enforcement in 1999, attended by officials from nearly 30 countries and the E.U. Mr. Spratling has represented a remarkable number of companies and individuals in connection with U.S. and foreign cartel investigations and litigation. During 2013 and 2014, for example, Mr. Spratling represented clients in investigations by 34 separate enforcement authorities in 18 different jurisdictions. In total, he has represented parties in more than 40 separate international cartel matters and in scores of leniency applications in 20 countries on 5 continents. As a result of his global experience and expertise, Mr. Spratling is invited to speak frequently at conferences and programs around the world, variously sponsored by the American Bar Association, International Bar Association, International Competition Network, bar associations from other jurisdictions, government organizations, competition enforcement agencies, and business forums. Mr. Spratling Co-Chaired the ABA/IBA International Cartel Workshop all ten times it was presented from 1997 through 2014. Mr. Spratling is the immediate past Co-Chair of the ABA Antitrust Section’s International Cartel Task Force and served as Chair or Co-Chair nearly every year of its existence since 2005. Mr. Spratling is recognized by his peers as the preeminent attorney for international cartel matters. He has been conferred peer distinction globally – Global Competition Review’s Cartel Lawyer of the Year, nationally – Law360‘s 10 Most Admired Attorneys, and locally – every edition of Best Lawyers since 2006, including being named "Antitrust Lawyer of the Year" in San Francisco for 2013 and 2018. Chambers USA 2016 ranks Gary Spratling as a "Star" in both Nationwide Antitrust: Cartel and in California Antirust and a Band 1 "Leading Lawyer" in Nationwide Antitrust. Chambers Global 2017 similarly ranks him as a "Star" in USA Antitrust: Cartel. Clients and peers report to Chambers that Mr. Spratling is "’in an orbit on his own’ and widely considered the leading defense attorney for clients involved in criminal cartel investigations." 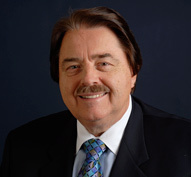 Chambers also notes he is "universally praised as ‘the Godfather of the antitrust market,’ ‘the best of the best for government investigations,’ ‘an amazing lawyer of international repute,’ ‘and anyone who needs criminal representation will call him first.’" He is recognized in Who’s Who Legal Competition 2017 and the current edition of Expert Guides Competition and Antitrust. The Legal 500 US 2016 highlights Mr. Spratling as a "Leading Lawyer" for U.S. Antitrust Cartel and Benchmark Litigation 2017 notes him as an Antitrust "Litigation Star." In 2017, Mr. Spratling received two prestigious Lifetime Achievement Awards: one from Global Competition Review and the other from the American Bar Association Antitrust Section, the inscription describing him as the "Architect of the modern leniency program. A national leader in international cartel enforcement and preeminent attorney in international cartel matters."